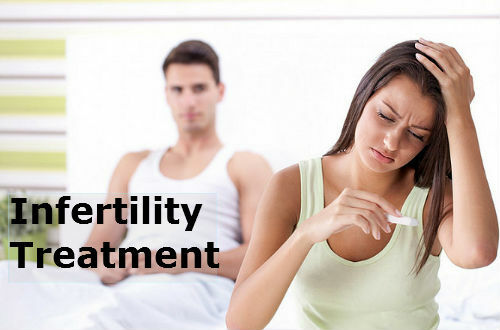 Infertility is the scenario where the couples are not able to achieve a state of pregnancy, and this has become more familiar among couples these days. In the initial stages, such problems are to be identified and proper treatment should be followed to make sure that the couples get the pregnancy at a later stage. The first and foremost thing to do is to identify whether the man or the woman among the couples has attained the state of infertility and treatments can be taken only for the individual. In this article, we will have a discussion on the infertility treatments which can be followed for both men and women. There are some exceptional cases where there are no risks and less efforts required to get successfully treated. For women, the chances of getting pregnant after the age of 35 is slightly down and also there are several interference like miscarriage of pregnancy at any level in these women.Also it is to be noted even if they have attained pregnancy, doctors won’t assure a healthy baby for women above the age. But recent advancements in technology and research have opened up the gates for acquiring pregnancy and healthy baby. There may be problems linked to Ovulating and medicines are mostly prescribed for such problems to resolve the problem. Clomiphene is one ingredient which helps the ovaries to release the eggs for ovulation process. Also, Metformin chemicals are used for treating problems like the Poly-cystic Ovary Syndrome which is more commonly found among the women. Unexplained Fertility is a condition where the physician is unable to find the root cause for the infertility problems which prevents the woman from getting pregnant. In such scenarios, the treatments for patients may extend on injecting the hormonal injections and oral intake of Clomiphene which helps in clearing the blocks in the ovaries to help it release the eggs and Insemination is also done in some of the rare cases. Tubal surgery is also one of the options which helps to clear the blockages that are present in the fallopian tubes of the women. It is a mild surgical procedure and women carry minimal level of risks for undergoing this operation. Endometriosis is the treatment to remove the growth of the endometrial tissue growth in women. In some cases, when there is mild to medium level of growth of this tissue in women, undergoing laparoscopic surgery may be an end result to this problem. If the growth of the tissue is sparse and abundant, then there is no use of undergoing this treatment and in such cases doctors usually don’t suggest this option. To first recognize the level of infertility, physicians normally recommend the process of Insemination, for which the sperms from the male are collected and are kept preserved to increase the number of healthy sperms for the process of Insemination. At times, initial treatments may not work for many men, where several alternative measures can be taken to resolve the issue. In this modern age, people who are not able to achieve pregnancy, usually arrive at a decision for undergoing ART( assisted reproductive Technology) treatment to resolve the issue. In-Vitro Fertilization is one among the common treatments of ART, in which a fertilized egg or few eggs are taken from the men and are placed in the uterus of the women with the help of the cervix. Intracytoplasmic Sperm Injection is an injection usually injected to place the sperm in the eggs and measures are taken for fertilizing the eggs and on successful fertilization, these eggs are placed in the uterus. Some might have got frustrated for following these techniques and may have to decide on adoption at this stage.Most of the couples try to spend their resources on Adoption rather than spending it for IVF or ART techniques. Most of the countries in the world are having excellent medical centers and fertilization centers to help the couples to achieve pregnancy without much difficulties. However, the cost of undergoing this treatment may totally differ in each places based on the facilities utilized by you and based on the medical investigations done to the patient. Hence it is wise to make an inquiry and make a budget plan before starting the treatment. Also make sure that the physician is well experienced on the trot and also make sure to determine the success rate of the treatment which is to be followed by you. Hope some of our readers, will find it very useful and may the Almighty bless them with the gift of Pregnancy.